The Devil's Staircase is in the coast range mountains southwest of Oregon. Laughlin: "Devils Staircase and the Wild Rogue Wilderness areas are really legacy landscapes that are part of what makes Oregon so special and they're really long overdue for permanent protection and we applaud the Senators for moving the efforts forward once again." Senators Wyden and Merkley and U.S. Representative Peter DeFazio have tried to expand Oregon's wilderness before. This time, Laughlin points out, it's a stand-alone bill, not tied to any logging proposals. Oregon's coast range forests are a patchwork of private, state and federal land, much of it heavily logged for the past century. One pocket of old growth forest southwest of Eugene has avoided the chainsaws, mainly because of its steep terrain. There's a bill in congress to designate the 30-thousand acre tract as Wilderness. KLCC's Rachael McDonald took a guided hike to the secluded Devil's Staircase. Our journey begins at the end of a logging road about 10 miles northeast of Reedsport. Derbyshire: "This is where we're trying to get…"
The federal government is one step closer to changing the way it pays to fight wildfires. Oregon Senator Jeff Merkley said the preliminary legislation was approved by the Senate Appropriations Committee Thursday. Wildfires are not treated the same as other natural disasters, such as floods and hurricanes. 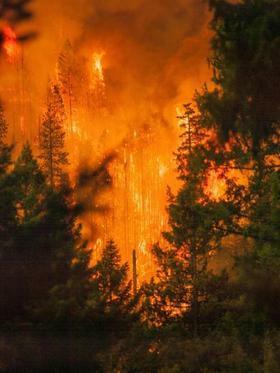 This forces the U.S. Forest Service to take money intended for fire prevention efforts, like thinning, and use it to fight fires. Under the new system, Senator Merkley explains the wildfire budget would be based on the 10-year average cost. 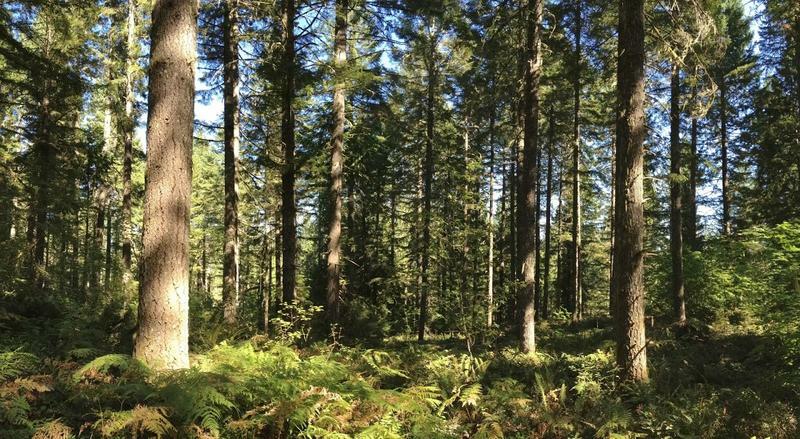 Two environmental groups are challenging a timber sale outside of Springfield that they say is the largest clear-cut on federal land in 20 years. The lawsuit was filed Thursday in federal court in Eugene. The project, called The Second Show Timber Sale, is on nearly 260 acres of Bureau of Land Management Land near Shotgun Creek outside Springfield. Nick Cady is with Cascadia Wildlands, one of the conservation groups which filed the lawsuit. He says the BLM neglected to analyze the effects of the project in relation to other private logging projects in the area.